Crawford Boyd was a pivotal defender for Queen of the South in the 1970s. 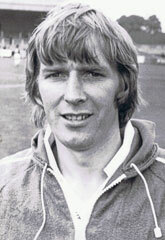 After leaving to spend a season and a half with Hearts, Boyd returned for the run in of the 1980/81 promotion campaign. In total Boyd made 321 QoS first team appearances. Providing an interview for this article in June 2009, Crawford Boyd has been kind enough to assist since in finalising the feature and contributing photos. Boyd came across very much as measured, considered and objective. There was, without exception, a pause prior to every answer he gave so that each response was thought through. Boyd was also candidly honest in his assessment of himself. This is what he had to say about his career. Boyd was offered terms, he signed on the dotted line, as simple as that. Boyd then gave the low down on his favourite games as a Queens player. "What did he say back about that?" 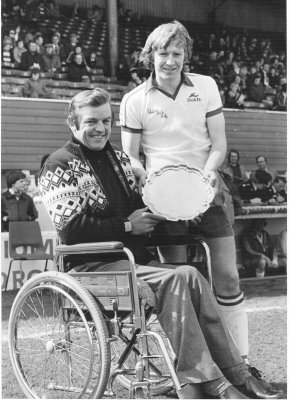 When Jimmy Robertson was interviewed for Queens Legends he volunteered the description of Crawford Boyd as, “A bit of a hardie guy”. It seems JR’s description was pretty good. 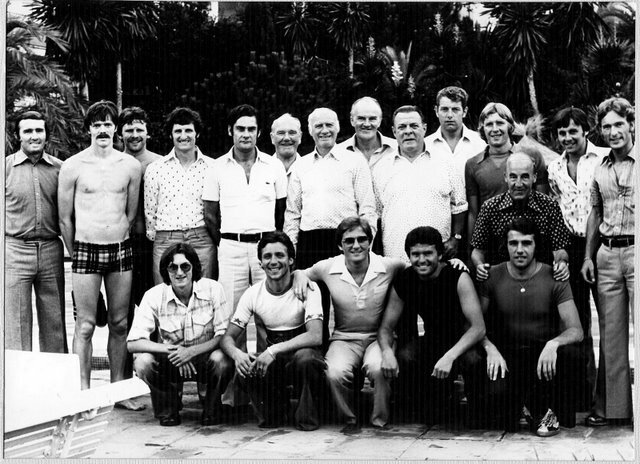 (QoS in Marbella, 1975. Back, L to R: Mike Jackson, George Dickson, Billy McLaren, ? , ? , Jimmy Anderson, Willie Harkness, Ernie Walker, Billy Houliston, Jim Gibson (Coach Owner / Driver), Crawford Boyd, Lewis Russell, Iain McChesney, ? Next was the League Cup 6-0 victory when Queens played against Dundee. "Any memories of Strachan from that night?" Richard Gough has commented in the past that Jim McLean had only one way of managing players. While Gough said that he personally didn’t mind McLean’s dominating style, he could see why some other players wouldn’t like it. Correspondingly of course is the likes of the description of McLean by journeyman forward Iain Ferguson as, ‘tactically the best manager I played for’. This is no surprise when McLean’s tactics took Ferguson and his Tannadice team mates to the 1987 UEFA Cup final. 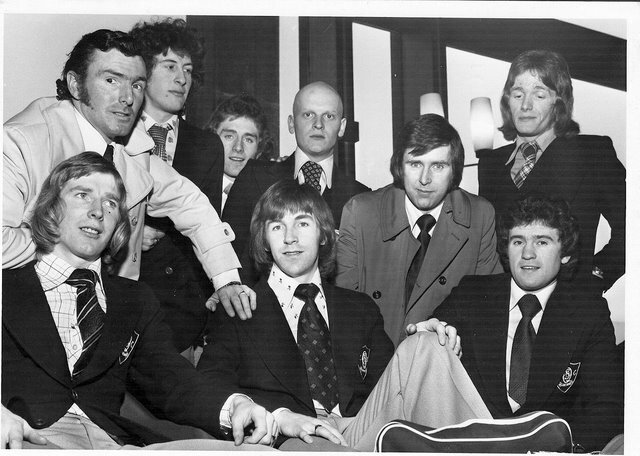 (Scottish Divisional Select squad, Dec 1974. The front row is Crawford Boyd, John Dempster and Jimmy Miller). "Twice I was awarded player of the year by the Queen of the South supporters club and that was a great honour. 1973/74 and 1978/79. Also there was an international against the Italian under 25s in Pescara in Italy in 1974. I played centre half that night for the Scottish team. The score was nothing each, the game got abandoned in the 71st minute due to flooding. There was flash-floods, it was between Christmas and New Year the game. I played and Jim Miller played, and John Dempster was substitute. 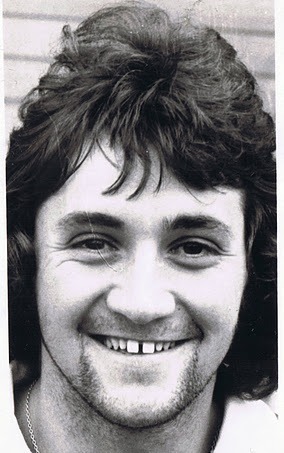 Wee Jimmy Coughlin who was later to go to Queen of the South from Albion Rovers, he was a substitute as well. I’ve got this book that my wife done for me, it’s just a wee thing with different teams I played with, kept all the different wee cut outs, a wee scrap book. I’m looking at a picture of myself, Jocky and Jim Miller just waiting in the players lounge kind of thing." Bobby Graham’s stats at Liverpool back up Boyd’s comments. A creative forward rather than a ‘fox in the box’ poacher, Graham chalked up 31 goals for himself in his 101 league appearances for Liverpool. He dropped down the selection pecking order when the Scouse club signed John Toshack and Kevin Keegan. “We missed each other. 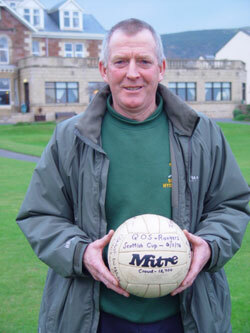 Jim Jeffries was the captain, Cammy Fraser, Willie Gibson, John Brough, he was the goalkeeper. It was fantastic to have achieved your life long ambition. My life long ambition was to be full time in football, and it happened for just under 2 years, it was great, it was fantastic. When I went to Hearts, I won a first division medal, I’ve got a first division winners medal in my trophy cabinet." And the return to QoS. Crawford Boyd's 321 QoS first team appearances is 20th highest in Queens history (as at 11 September 2017). Very much taking care of things at the back, he was never going to be a prolific goal scorer but he also pitched in with 6 goals in his 253 league appearances.